Can you roleplay without a Gamemaster, Storyguide, or Dungeon Master? Absolutely! This is what some of us call collaborative play. It doesn’t sound as if it would work, but I’ve found that it can work exceptionally well under the right circumstances. You can play collaboratively with a group, which is a whole new kind of fun. If you like, you can also use collaborative roleplaying tools to play solo. 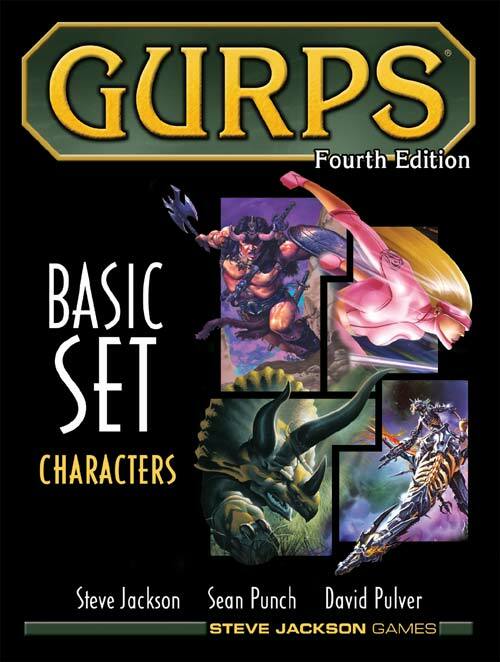 You can roleplay collaboratively with any system, but I like GURPS, so that’s what most of the material on this website focuses on. Q: But GMs are amazing, precious, wonderful things! Why would you want to play without one? A: Precisely because they are such rare and precious things. Medical studies show that one of the leading causes of the awful and debilitating condition Not Roleplaying is the very widespread phenomenon of We Never Started a Campaign Because No-One Had Time to GM. And for campaigns that do get started, one of the leading causes of premature campaign failure is GM burnout. GM burnout is very understandable, because in standard tabletop roleplaying, the GM has a lot of work to do – both before the game, and at the table. Wouldn’t it be stupendous if there were a way to ease that burden a little by shifting it onto everyone, thereby allowing us all to get together to play whenever we wanted, with next to no preparation, without the need for a Gamemaster? That would mean that when no-one wanted to GM, or when the GM was sick, we could still roleplay. Well, now there is a way! Hooray! If you’re interested in following this line of thought, you might want to read Ok, So *How* Do You Roleplay Without a GM? If you want to tinker with some of the tools I use to play collaboratively, head to The Distributed GM, or take a look at the system for procedural adventure creation under the heading What’s The Adventure? I wanted to take a moment and say that your creation is wonderful. Do you have all of these charts in single file somewhere so it can be printed?